Day Sailer Fleet one, based at the Severn Sailing Association, is one of the oldest fleets at SSA and was the first organized Day Sailer fleet in the country. The Day Sailer is a sloop-rigged centerboard dinghy with spinnaker that is typically raced with a crew of two (although three also works). The Day Sailer is an excellent boat for day sailing and can comfortably carry four for an afternoon of exploring the Bay. Designed by Uffa Fox, the Day Sailer is 16’ 9” long and has a minimum racing weight of 575 pounds. It is an excellent compromise between ease of sailing and racing performance. While its rig is relatively powerful, the hull is stable and forgiving. This combination of performance and stability has brought about a one-design class which is both competitive and friendly. The class is supported by the National Day Sailer Class, an active association that has a comprehensive set of measurement rules to preserve its integrity. 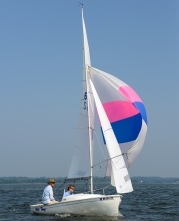 The Day Sailer has a powerful upwind sailplan, with 167 square feet of main and jib. This power is needed to drive the stable and solid hull. Emphasis is on clean maneuvers, acceleration, and shifting gears. Downwind, a moderately sized (96 square feet) spinnaker adds to the repertoire of sail handling skills, and lends more speed and planing to the reaches and runs. Class rules permit customization of deck layouts and running rigging, and sail development is ongoing in lofts on both coasts. Most boats employ moderately bendy masts (Epsilon section) to depower in heavy air. More than 10,000 Day Sailers have been built since 1958, and there are more than 30 fleets nationwide. New Day Sailers are currently being built by Cape Cod Shipbuilding in Wareham, Massachusetts. 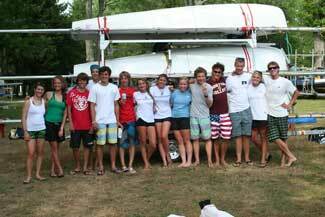 Day Sailer Fleet 1 typically holds five to six regattas a year at SSA and participates in TESOD. Additional class racing is available from Virginia to Massachusetts, and there is an annual midwinter regatta in Florida. 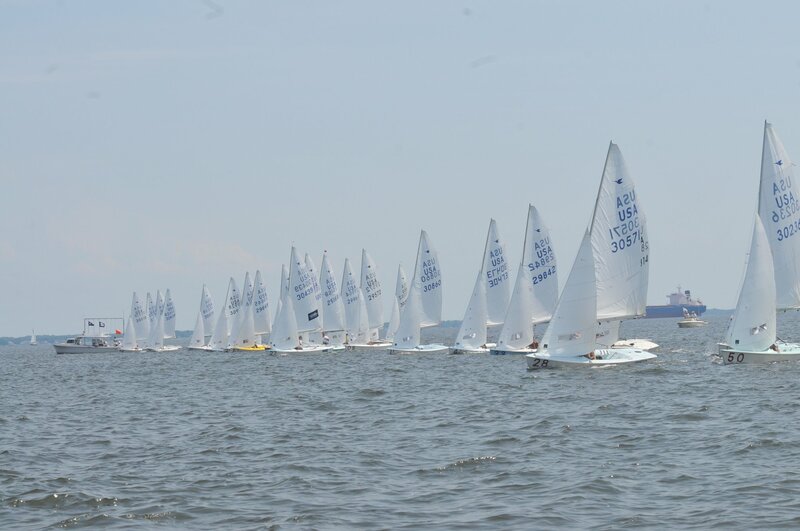 The Day Sailer North American Championship typically is held in July and rotates among fleets around the country in a variety of bodies of water (fresh and saltwater, large and small). While competition is keen, this is a relaxed fleet whose members are out to enjoy time spent on the water and on land helping new members master the boat. This class is an excellent choice for both the new racer and experienced hands. Family teams racing together or against one another are very common in the class. New and used boats are available, and boat obsolescence is not a problem. 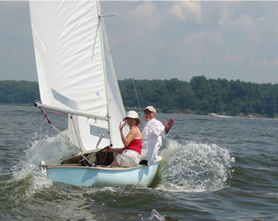 The Day Sailer is an excellent value in a one-design centerboard sailboat.